The veteran workforce just got more attractive. The signing of the “Forever GI Bill” into law (in August of 2017) brought significant reforms and improvements to veterans’ education benefits. 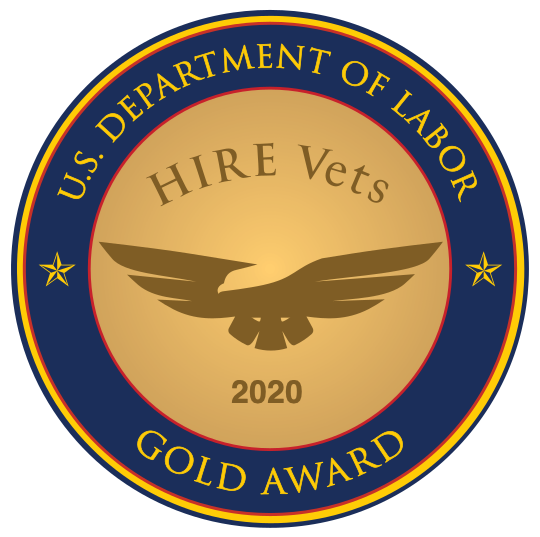 It delivers the biggest expansion of college aid for veterans in a decade and addresses the growing needs of employers to fill the skills gap. It’s estimated that the Forever GI Bill could directly affect more than half a million veterans over the next 15 years. The Congressional Budget Office has projected that the bill will be cost neutral over ten years, according to the New York Times. Previously, veterans had to use their Post-9/11 GI Bill within 15 years of their last 90-day period of active-duty service. But not every veteran is ready to go back to school immediately after leaving the service. According to Student Veterans of America (SVA), 21% of veterans currently using the Post-9/11 GI Bill are 35 or older. The Forever GI Bill removes the time limitation and applies to anyone leaving active duty on or after January 1, 2013, effectively immediately. Under the new law, if a veteran isn’t ready to go to college right after his or her discharge, the education benefit is protected until he or she is ready. This provision allows more veterans to receive new training or enhance existing skills, enabling a ready workforce and an expanded pool of applicants from which employers can choose. It’s estimated that 2018 will bring 2.6 million job openings in STEM (Science, Technology, Engineering, and Mathematics) fields in the U.S, but many veterans do not pursue this avenue when it comes to using their educational benefits. Currently, only 14% of veterans using the Post-9/11 GI Bill have gained certifications/degrees in STEM, with 39% attending a two-year program. The Forever GI Bill addresses the skilled worker gap by encouraging STEM fields of study. Since some STEM bachelor's degrees can take up to five years to complete, veterans often noted having to choose other degrees that could be completed during the availability of their GI benefit instead of STEM study, according to SVA. That’s no longer the case. The Forever GI Bill pays veterans up to $30,000 if they are enrolled in a STEM program, have used up all their GI Bill benefits, and have at least 60 semester/90 quarter hours credit toward a STEM degree. It also will pay those who already have a STEM degree and are working on a teaching certification. The Forever GI Bill was championed by numerous veterans’ service organizations, including Student Veterans of America and The American Legion, the group that architected the original GI Bill of Rights in 1944. The bill moved quickly through both houses of Congress, passing unanimously in each before heading to the president’s desk for signature. The upshot? The Forever GI Bill will deliver a smarter workforce, and one that’s in high demand. Military members already come to the civilian job force with skilled technical training, numerous intangible skills, and lots of leadership experience. With more educational options to pursue and more time to pursue them, more veterans will be incentivized to acquire skills that set them apart and fill the skills gap.